TVS Max 4R is a bike made for commuters in India with goods carrying features. Read the review to know the features, technical specifications & price in India. TVS brought back the Max series for a more meaningful purpose of the targeted customers. The bike is designed to match the transport needs of businessmen, farmers and all other category of customers who transfer heavy loads from one place to another. 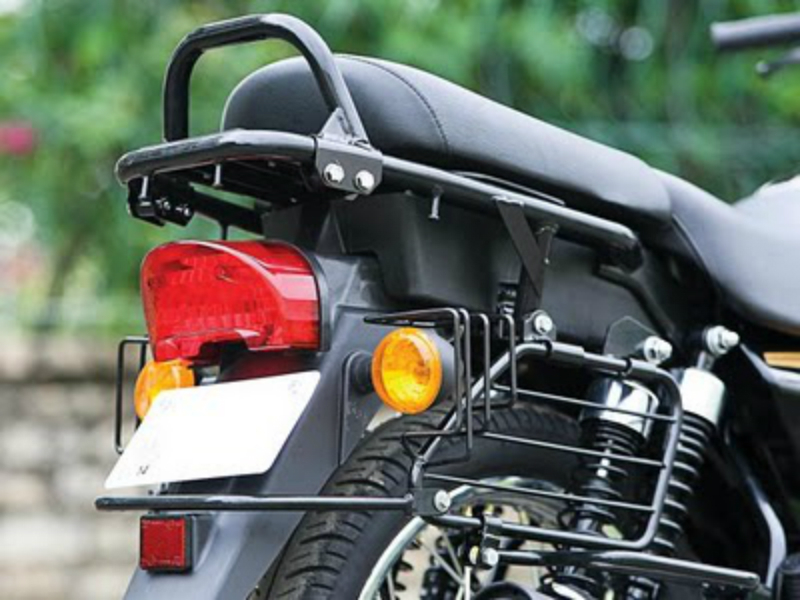 Featuring high torque and high power, indicator cover, wide straight stand, four shock absorbers at the rear, mobile charging unit and so on, the bike has gained popularity especially among self employed category in India. The body of new Max 4R does not have much resemblance with the previous model of Max. Yet the bike has made its way on Indian roads carrying a huge package of features of a utility vehicle. TVS Max 4R uses a four stroke single cylinder engine to produce a torque as high as 8.33 Nm. The ability to produce a high torque at low rpm makes the engine suitable drive the vehicle carrying heavy loads. The engine produces a maximum power of 8.28 bhp at 7500 rpm which is the highest power in 100 cc segment in current Indian market. 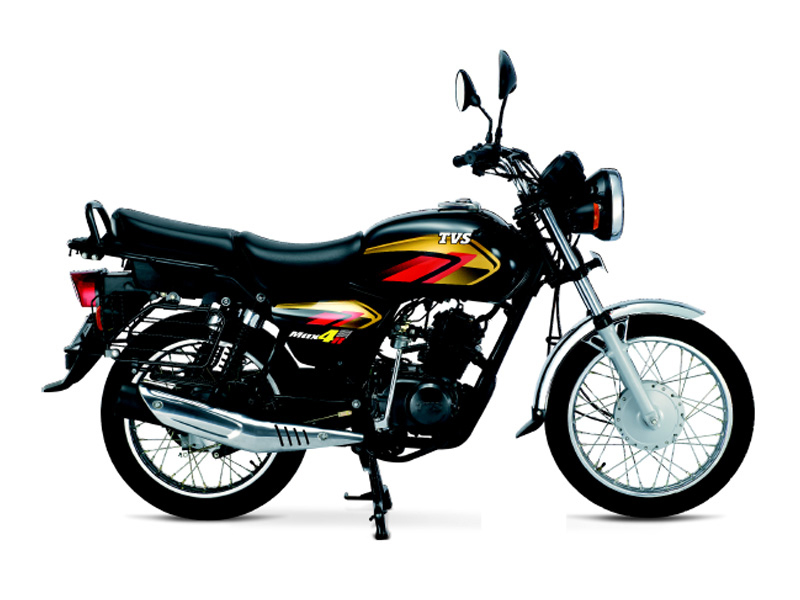 TVS Max 4R being a utility bike in 100 cc segment is available in simple design with thick and soft seat. The wheel base of the bike is not very long but the bike is slightly lengthier. The petrol tank has some attractive graphics. With a traditional round doom whose position is adjustable according to the need of light focus and the speedometer assembly separated from the head light the bike is very simple yet charming in its looks. TVS Max 4R concentrates on commuters who have to carry loads across long distances. The bike produces high torque to carry heavy loads in steep roads. It has tires built with strong spokes to carry sustain loads. The bike uses 4 gears for transmission and the height of the bike at the seat is low for better handling of the vehicle with loads. TVS Max 4R can travel 75 Kms with a litre of petrol under normal conditions. But since it is a utility vehicle the pay load on the vehicle would affect the mileage to considerable extent. TVS Max 4R is available in black and red colors with two variants. 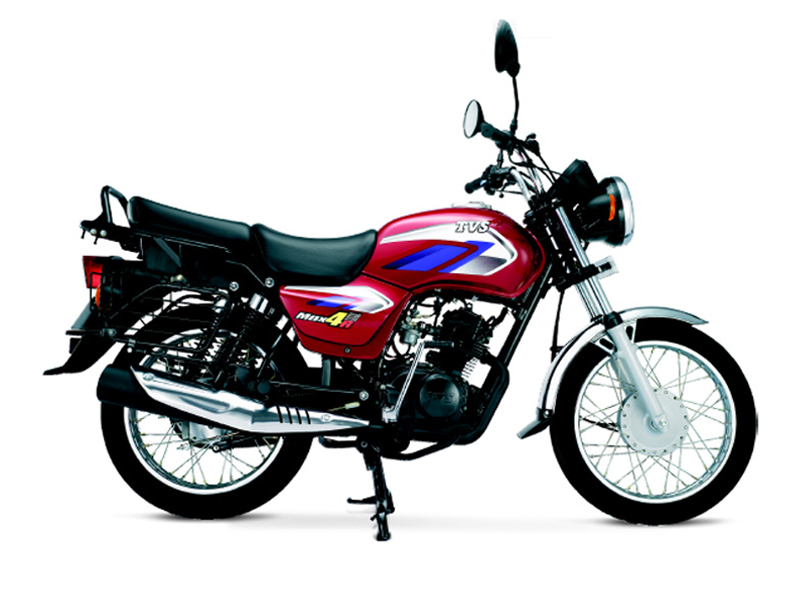 Max 4R basic model is available with split seat and the pillion seat is detachable. Max 4R LX is available with a complete seat. The bike would cost around Rs 35,000 to Rs 38,000 under applicable conditions.